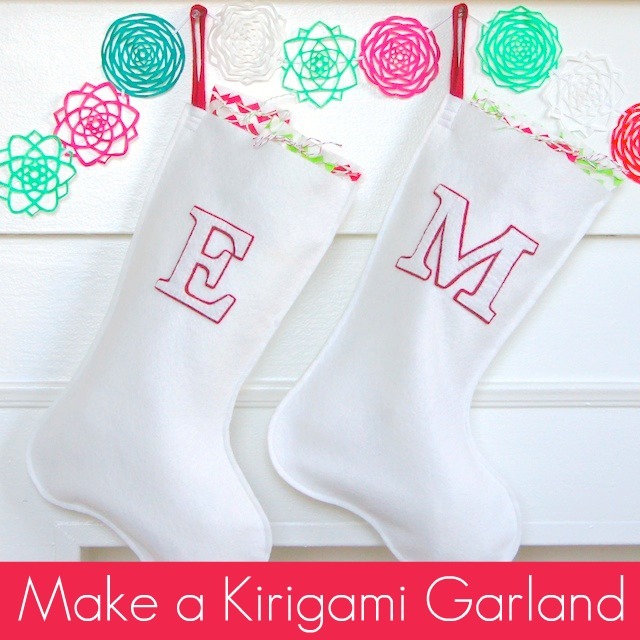 Did you spot our kirigami garland over on Oh My! Handmade yesterday? It's hanging from the mantle with our handmade stockings. 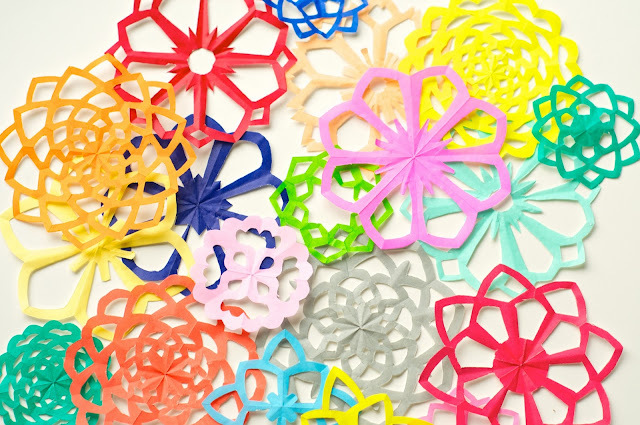 It's a fun take on the typical paper snowflakes seen around this season! Kirigami is the term used for the art of folding and then cutting paper into decorative shapes. Though the term comes from Japanese (kiri = to cut, gami = paper), it was actually coined by an American artist in the 1960's. We've talked about kirigami before - and shared the how to's for Sakura Kirigami and Spiderweb Kirigami - but really, the joy of this form of paper cutting is in the surprise! Start with colourful thin paper - we LOVE our 7.5cm 50 Colour Origami Paper for kirigami - fold and snip away. Lots of small cuts will give you an intricate, lacy look. Larger cuts mean more open space and a look which is both floral and geometric at the same time. 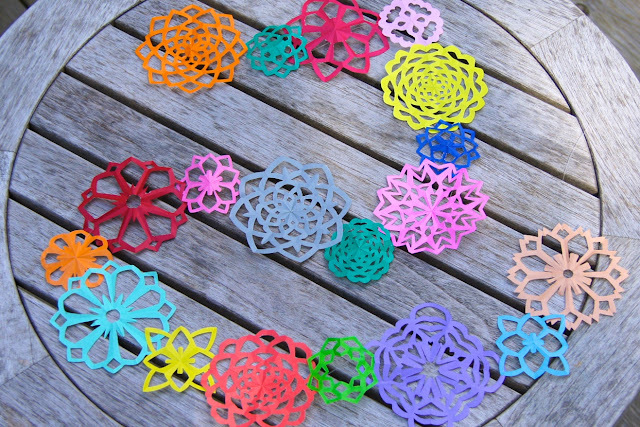 Want to make kirigami flowers? Start with Sakura kirigami and then improvise from there. Choose a colour theme - like our traditional red, green & white seen in the first image (though they're looking a little pink in that shot!) or go colourful and you'll be able to enjoy your garland year round! Once you've finished cutting, you may want to carefully press the kirigami using a warm, dry iron (we always use the lowest setting) to soften the look of the folds. Then simply string your creations together using thin ribbon or string. If you'd like to see templates for various styles of kirigami, let us know in the comments and we'll put something together for you! I love these Kirigami and would love to see some templetes! So pretty! Love variety of bright colors. A template would be wonderful! I have a hard time visualizing what everything looks like unfolded. TEMPLATES WOULD BE WONDERFUL THANK YOU! we made these in school and i REALLY love them and would like to make more!! Please please upload these templates! they're beautiful!